Get these Mil Tec Police Patrol Boots today! Lightweight and water resistant, ideal for policing the streets. 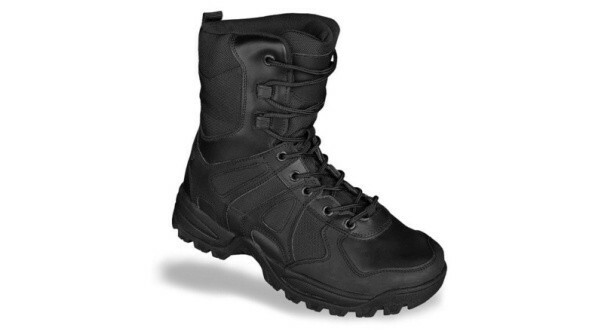 Police Discount Offers bring you this Second Generation Mil-Tec Patrol Boots. They are water resistant and lightweight. The Boots have a polyester/polyurethane lining and fitted with a slipguard rubber sole. The whole Patrol Boot is lined and padded throughout, including a padded tounge. At the front the toe cap is reinforced and so is the heel giving a bit more protection. These Police Patrol Boots are ideal for any type of policing activity and at this price appear to be good value. They are currently being sold on amazon and have several five star reviews.